The Empower Adjustable Weighted Walking Vest is perfect for women who want to improve their fitness and strength. The added weight will make exercising more difficult giving you greater cardio, speed, power and agility. This vest is made for adults and has an adjustable size of between 4 and 8 pounds. The Empower Workout Vest can be adjusted in increments of one pound. 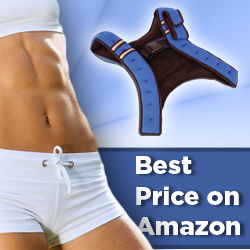 It comes with a quick release buckle and an adjustable strap that fits around your chest. The fabric is made from neoprene which should be soft and comfortable to wear.